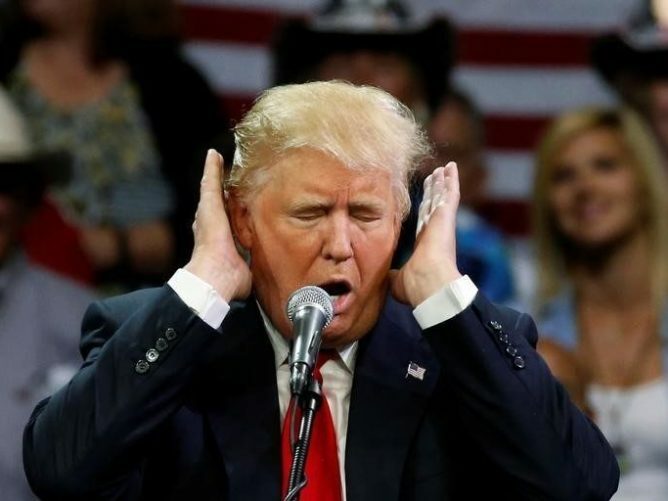 Whether Trump will have the discipline to keep the earplugs in and stay on message or will take them out and go ballistic is the big political question cable news commentators and experts will themselves be debating as the first Presidential debate draws closer. One CNN political analyst thinks Trump will either succumb and take earplugs out or maybe stay firm and keep them in. A Fox News anchor believes that Trump has been wearing earplugs all along and has never actually heard any of the questions interviewers have been asking. It has been alleged that cable news networks have been dubbing in questions to more or less fit Trump’s answers.